It is common for a battery to go dead for a few reasons in which case the battery will need to be charged. 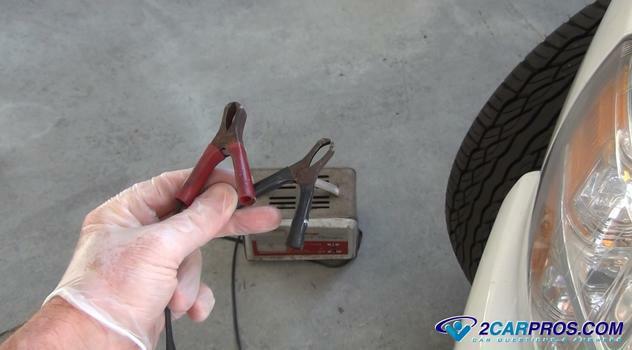 One of the most common causes for a dead battery is that it has gone bad and the battery needs to be replaced. A self inflicted battery draw will drain the battery down as well such as leaving the headlights on or one of the doors open. 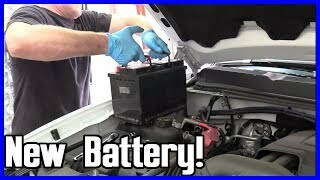 An overnight drain on the battery because of an electrical draw somewhere in the car also will cause the battery be dead even though the battery is in good shape. Finally, if the engine's alternator is not putting out the correct amount of charging voltage the battery will loose its charge. If your car has been sitting for an extended amount of time the battery can also loose its charge which is natural. Charging the battery back up can be done using a trickle changer which is available from Amazon starting for about $26.00 (US). There are a variety of chargers and prices which will dictate how fast and the quality of the charger. The more expensive chargers are usual for shops though we do know some people who like to have them in their home garage. How Does a Battery Charger Work? 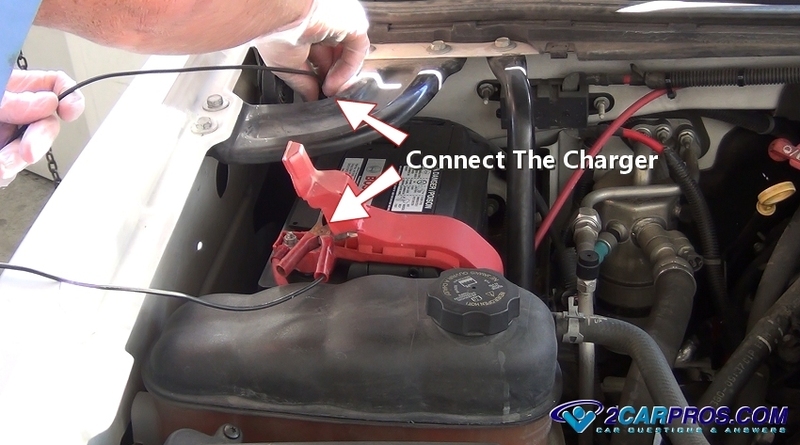 A battery charger converts the AC currant from a typical wall plug into direct DC voltage and amps that mimics the alternator when your car's engine is running. When a trickle charger is connected to a battery is will put out about 15 volts at about 3 amps of currant. Depending on the condition of the battery it will take between 30 minutes and three hours to charge. The larger battery charger can output up to 30 amps and charge the battery is about 15 minutes. When having a battery charged at a repair shop it can cost between $25.00 and $35.00 (US). The upside of having it done at a shop is they will probably have the more powerful charger which will get the job done more rapidly. If your car's alternator is generating the correct amount of voltage and amperage without a battery warning light on a battery charge is a one time operation. If a battery is weak a charge can help you get the car going until you can replace the battery. Always wear gloves and eye protection when working with batteries. 1. Inspect the Battery Charger: It's important to use a battery charger that is in good shape to avoid short circuits which may cause a spark over the battery. Look for broken leads or a damaged plug and replace or repair the charger if needed. 2. 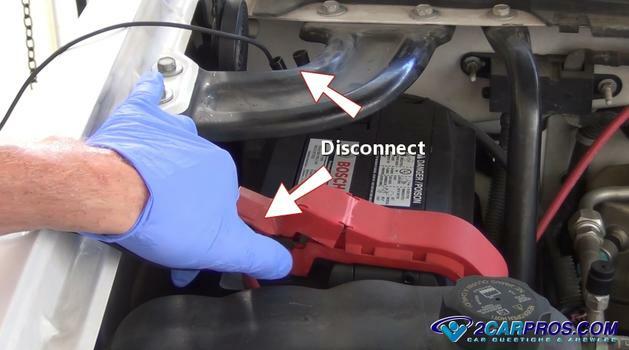 Connect the Battery Charger: Lift the hood of your car and locate the battery, in some cases it will be in the trunk. While wearing gloves uncover the positive terminal of the battery. These terminals will be identified by a + or - sign. Before connecting the charger make sure it is unplugged or turned off. Then connect the red spring loaded clamp to the positive side and the black clamp to the negative side (it does not matter which order). Once connected wiggle the clamps to make sure they are getting a good connection. Do not hook up the charger backwards. 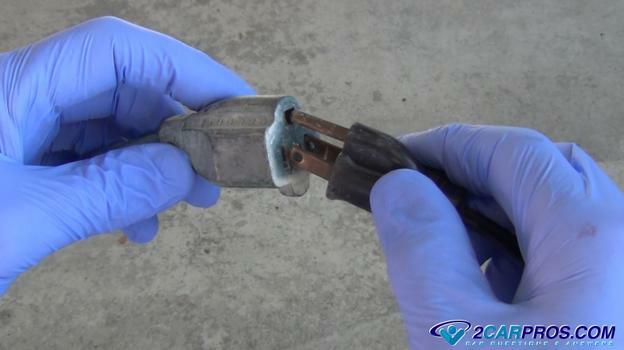 This can cause electrical damage to the car and the charger. 3. Turn the Charger On: Switch the charger on or simply plug it in. Some chargers do not have a switch which is normal. At this point you should hear a buzzing sound which indicates the charger is starting the work. Not move which means you have a bad connection at one of the terminals or the charger is not working. In this case switch the charger off or unplug it and then reposition the clamps or get a new charger. 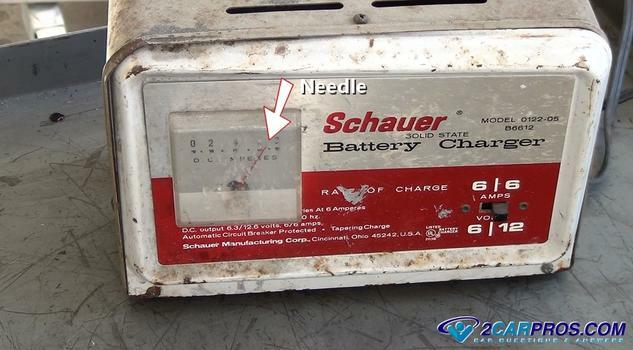 The needle will jump to the top of the gauge and slowly move downward as the battery charges. This is a normal pattern of the dead battery. The needle will move a little bit which means the battery is probably no good due to an internal short. 5. Charging the Battery: Depending on the state of charge and the condition of the battery (how new it is) charge times will vary. As the battery charges the needle will drop lower until it does not move anymore which is telling you the battery is completely charged. If you try and start the car with the charger connected it can trip the circuit breaker inside the charger which prevents charger overload. When the circuit breaker cools it will reset and the charger will be ready to go again. When this happens the gauge will drop to zero. 6. Disconnect the Charger: After the battery charging is complete turn the charger off or unplug it. This will stop the currant flow of electrically and will help you not to cause a spark near the battery which rarely can cause an explosion. A battery is most prone to an explosion after a recharge due to the hydrogen gasses produced while charging. 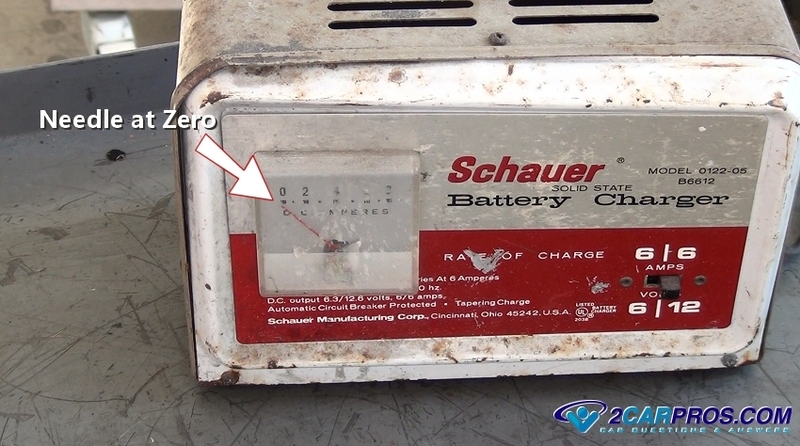 To check the batteries condition after the charge it's a good idea to perform a load test. This will let you know if the battery is any good or not. Never touch a metal object between the two battery terminals to see if it is charged, this can cause it to explode. Use caution when working with batteries because they are filled with acid. If you have any car battery questions, please visit our forum. If you need car repair advice, please ask our community of mechanics who are happy to help. Our service is always 100% free.